It’s kind of ironic that Free! of all things would get a beach episode, considering they’re always around the water. However, the ocean has much bigger implications for the swimming club. Since I’m studying ocean sciences in college, I can tell you that swimming in the ocean is actually very different from swimming in a small pool. I don’t think I would ever attempt to swim the distances that they do in this episode. Hell, I don’t think I can even if I have a floatation device. Because of that, I’m really impressed with Rei’s determination to match his fellow swimmates in their training regiment goals. However, the ridiculous expectations created by Kou and her special treasure map are too much even for the veterans. Almost unsurprisingly, Rin’s high school is on the same “deserted” island for training in an actual facility. It makes me wonder how he got to go to such a rich school, while the other three ended up in a normal high school. Despite Rin’s sharkiness (seriously, he can smell fish from inside the gym! ), he still shows signs of actually caring about his childhood friends. Apparently, Makoto had some traumatic experience as a child involving the ocean. The beginning of the episode had me believing that he lost his goldfish to it, but the brief flashbacks kind of imply otherwise. 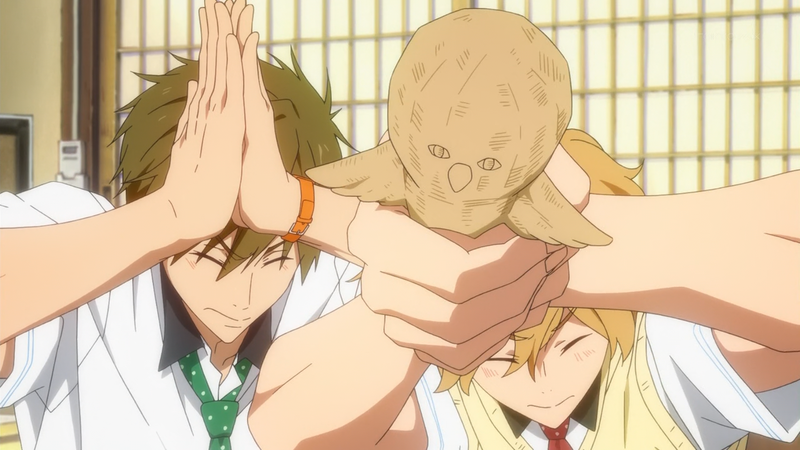 Still, Makoto grieving over a goldfish would have been pretty saddening, too. Of course, things take a turn for the worse when Rei decides it would be a good idea to go swimming alone at night. I admire his dedication, but come on. He of all people should know how dumb that is. If you get caught in a riptide, or heaven forbid a storm, it’s game over. 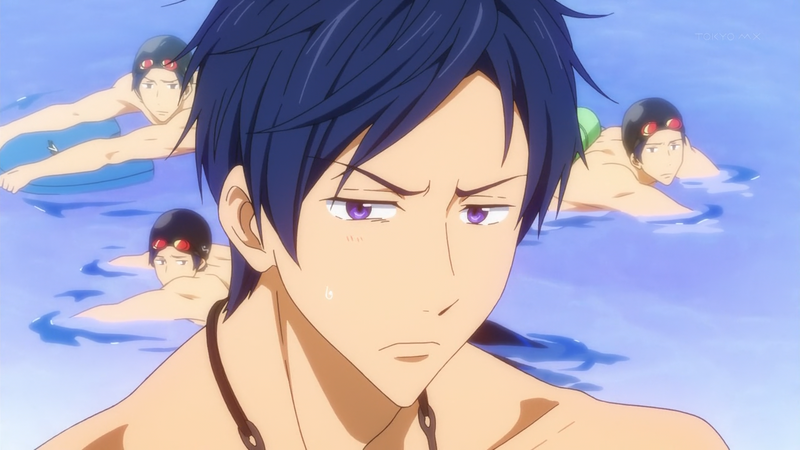 Thankfully, Makoto’s spider senses alerted him of Rei’s shortsighted decision making and woke him up. Will he be able to make it in time? Probably, but I’m interested to see how this will play into his traumatic past with the ocean. 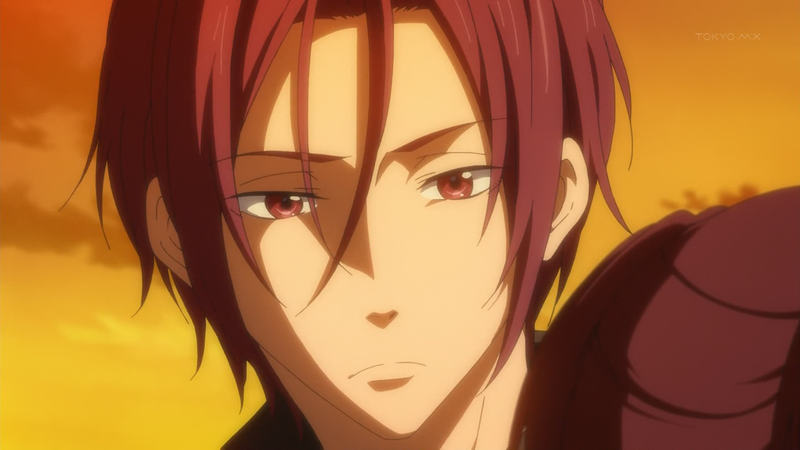 I loved how Rin’s sharkiness came up again. It was great how the captain had a totally unrelated tangent to derail his dramatic atmosphere, too.